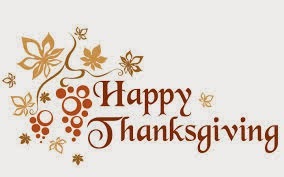 Happy Thanksgiving to you, your staff and your loved ones! In celebration of the holiday, the AHCA/NCAL offices will close at 2 p.m. on Wednesday, Nov. 27, and remain closed through the weekend. Normal hours will resume on Monday, Dec. 2. Stay safe and enjoy the time with friends and family! It's one of the busiest times of the year, so don't delay. Before the holiday rush kicks in, register for the Quality Symposium, and cross one thing off your end-of-the-year list of things to do. Register today! The symposium will kick off with five, four-hour intensives (included with registration) that offer attendees the opportunity to dive into critical issues facing long term and post-acute care providers. With more than 20 education sessions available, two general sessions, a poster gallery, and lots of opportunities for professional networking, you won’t want to miss this event! The registration deadline is January 10, 2014. Speaker John Boehner attended an event in the AHCA office Wednesday night, chatting with and answering questions from providers over dinner. The Speaker, who stayed at the AHCA office in Washington, D.C. for nearly two hours, spoke on a wide range of topics of importance to the skilled nursing profession, from the sustainable growth rate (SGR) to immigration to tort reform. Boehner repeatedly emphasized the importance of skilled nursing, especially when considering the drastic demographic changes facing America and the rising amount of Baby Boomers who will soon need long term care services. Prior to the AHCA event, the Speaker attended a reception with Congressman Jim Renacci (R-OH), who spoke about his over two decades of experience as a skilled nursing facility (SNF) owner and administrator. A relatively new member of Congress—he’s only in his third year—Rep. Renacci has the rare distinction of being on the elite House Committee on Ways & Means, a privilege usually reserved for more senior members of the House. At the reception, Rep. Renacci also spoke about a piece of legislation he proposed Tuesday, the Creating Access to Rehabilitation for Every Senior (CARES) Act of 2013 (H.R. 3531), which seeks to eliminate the three-day hospital stay requirement as a prerequisite to Medicare funding for skilled nursing. Rep. Renacci said that he was motivated to write the legislation because of the barrier to access that many beneficiaries discover too late. In the wake of Hurricane Sandy last year, more than eight million people along the eastern seaboard lost power, and many residents of affected communities were forced to seek shelter elsewhere. For health care providers, losing power can wreak havoc on fragile residents, clients and patients. Studies have found that nursing home resident mortality rates can increase up to 218 percent following evacuation. However, one solution energy managers can use to help keep the lights on and their residents, patients and clients safe, is called combined heat and power (CHP). These on-site systems produce both electricity and steam from a single fuel (often natural gas). The systems then recover heat that normally would be wasted in a conventional electricity generator, saving the fuel that would otherwise be used to produce heat or steam in a separate unit, usually at efficiencies of up to 80%. When designed to include the ability to operate when the grid is down - sometimes called islanding - they can offer reliability and disaster resilience. While an investment to install, over the long-term, CHP has the potential to result in significant savings in future power bills and provide a reliable backup when the power goes out. To learn more about CHP, please click here or feel free to contact the Officer of the Clean Energy Program at the Pew Charitable Trusts, Jessica Frohman Lubetsky. Now through January 2nd, SAVE 10% on your entire order by entering the coupon code, SAVE10 when shopping online. Provide the same code to a customer service member when ordering over the phone to receive your discount. On November 15, 2013, the Department of Housing and Urban Development (HUD) issued a new rule in the Federal Register that eases regulations for minor skilled nursing care center repairs and renovations. In the past, HUD-financed skilled nursing care centers located in at-risk flooding areas faced an eight-step process prior to undertaking physical plant improvements. These centers now have the option of a five-step process under this final rule. According to the rule, the eight-step process is meant to ensure that risks to facilities and potentially negative effects to wetlands are minimized in any building project. The new five-step process enables facilities to minimize these same risks and negative effects more efficiently, easing the process in particular for those facilities that want to correct minor improvements or light damages. As AHCA has previously reported, the Centers for Medicare & Medicaid Services (CMS) recently distributed to each individual SNF facility, through its contractor (TMF Health Quality Institute), a Program for Evaluating Payment Patterns Electronic Report (PEPPER). Although these reports have been distributed to other types of health care providers (e.g., hospitals, psychiatric facilities, hospice, etc.) in the past, this is the first time that the SNF profession has received PEPPERs. AHCA has had a lot of contact with TMF Health Quality Institute contractor, Kimberly Hrehor, who also provided a 2-part webinar series for AHCA membership to help them read and analyze the information in the report accurately. To hear PEPPER Part I, click here. To hear PEPPER Part II, click here. In addition, during our discussions with TMF, AHCA asked for additional reports summarizing SNF statistics at the state level. TMF responded to that request, and now, aggregated for each state, TMF has created files that include the numerator and denominator counts for each of the six target areas; as well as graphs that compare all states’ target area percents. Reports listing the top RUGs for all episodes of care and the top RUGs for 90+day episodes of care are also available at the state level. To see these national-level reports go to the PEPPER website here. The US Senate Special Committee on Aging has just set up a new toll-free hotline aimed at providing senior citizens an opportunity to report instances of suspected fraud and to get appropriate assistance. The hotline will be staffed by a team of committee investigators on weekdays from 9-5PM, EST. The investigators, who have significant experience with investment scams, identity theft, bogus sweepstakes and lottery schemes, Medicare and Social Security fraud, and a variety of other issues, will directly examine the complaints and, if appropriate, refer them to the proper authorities. Anyone with information about suspected fraud can call the toll-free fraud hotline at 855-303-9470, or also contact the committee through its website here. AHCA Members are flying to DC today to meet with several key members of the Senate Finance Committee and discuss the future of long term care in negotiations centering on Sustainable Growth Rate (SGR) reform. The Senate Finance Committee, in collaboration with House Ways & Means Committee, recently released a proposal that revises the SGR’s current fee-for-service (FFS) model in favor of the alternative, value-based, payment models. AHCA is supportive of this move. The SGR currently must be updated every year in a so-called “doc-fix” to prevent a large cut to physician Medicare reimbursement. This increase in spending, however, must be funded from other areas of Medicare spending, including a potential cut to skilled nursing. The AHCA members, also constituents of the Senators with whom they are meeting, will be bringing the message that any more arbitrary cuts to our sector would be absolutely debilitating. The billions absorbed by skilled nursing in recent years must be taken into account when creating a budget-neutral fix. The Senate Finance Committee is also in a position to solve the problems in the current therapy review process, which burdens providers with uncertain and lengthy reimbursement times when therapy costs reach an artificial limit. AHCA has already proposed a series of fixes to relieve providers of this unnecessary administrative burden, and will be driving that message home in face-to-face meetings. You can join AHCA’s advocates in DC in the fight to preserve funding for and access to skilled nursing. Check out AHCA’s Advocacy Alert to see if one of your Members of Congress is on Senate Finance, House Ways & Means, or House Energy & Commerce, and tell them that the therapy review process needs to be fixed. Join Us on March 25 in Washington, DC! AHCA/NCAL invites all intellectual and developmental disabilities (ID/DD) residential services providers to attend its fifth annual "ID/DD Residential Services Providers Congressional Fly-in" event on Tuesday, March 25, 2014, at the AHCA/NCAL Washington, DC offices. The event includes an overview of current legislative issues affecting ID/DD residential services providers and their clients, guest speakers, and the opportunity for afternoon visits with legislators on Capitol Hill. This event is FREE to attendees-- whether they're brand new to the legislative process or seasoned advocates on Capitol Hill. The registration deadline is Monday, March 3, 2014, and the registration form can be found here. The form also includes information on the hotel room block AHCA/NCAL has reserved at the Hamilton Crowne Plaza in Washington, DC. If you have any questions whatsoever about this event, please contact AHCA's Not for Profit & Constituent Services Director, Dana Halvorson. Last week, President Obama announced transitional relief through 2014 to extend insurance policies for individual and small group plan cancellations. We understand there have been providers that may have altered their employer insurance arrangements to phase out these plans, and will continue to examine the impact to our sector. In the meantime, please find CMS’s letter to State Insurance Commissioners providing additional detail regarding the President’s proposed administrative fix. This letter outlines the proposed “transitional policy,” and (1) enumerates the market reforms established under the Affordable Care Act that such plans will be exempt from in 2014; (2) requires that applicable plans must have coverage in effect on October 1, 2013; and (3) provides additional guidance on the required content of the notices that must be provided to consumers by such plans. If you have any questions, please feel free to contact AHCA’s Erin Sutton or Dana Halvorson. Also, be sure to visit AHCA’s ACA Web page for further information on the ACA. Before you break for Thanksgiving, check out all that this year’s Independent Owner Leadership Conference has to offer. The theme is Thriving in a Changing World, and there are numerous educational sessions and lively discussions planned to help you learn all the best practices in change management. Earn up to 10.5 CEUs and take advantage of fantastic networking and social opportunities, all in the lively atmosphere of Caesars Palace Las Vegas. 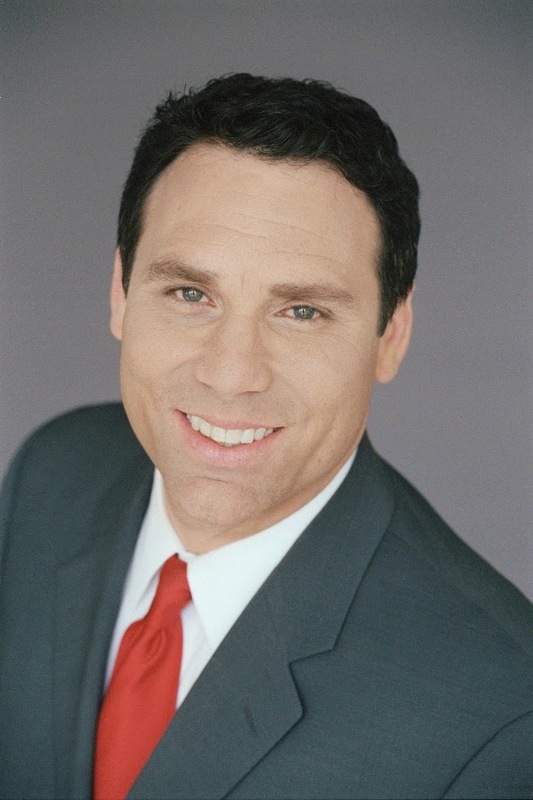 Comedian, best-selling author, and Fortune 500 leader Garrison Wynn (pictured, left) will kick things off on Wednesday, March 12 with the Opening General Session Making the Most of Difficult Situations: Preparing Leaders to Manage Resistance to Change. The early registration deadline is February 11, 2014. Early registration saves $75 off the standard member rate. Register and attend the NCAL Spring Conference that also takes place at Caesars Palace from March 10-12, and save even more. The American Health Care Association (AHCA) released remarks Tuesday following a proposed framework put forth by Congress to reform the sustainable growth rate (SGR). The remarks focused primarily on preserving funding for Medicare Part B providers and creating a solution to the therapy cap problem. AHCA is supportive of the framework’s general goal to reform the fee-for-service system and create a greater emphasis on quality over volume of care. However, given Congressional budgetary restrictions currently in place, AHCA contends that an undue burden should not be placed on its providers, given past cuts. The billions absorbed by skilled nursing in recent years must be taken into account when creating a budget-neutral fix. Additionally, AHCA views the SGR discussion as a critical time to address the root of administrative backlogs created by the current therapy review process. Manual medical review (MMR) has resulted in massive delays in payment decisions for providers who extend therapy services to patients beyond arbitrary therapy caps dictated by the SGR. AHCA, along with a coalition of organizations with expertise in therapy, proposed a series of fixes to the MMR that will better ensure providers are well-informed and properly reimbursed for these critical services. The Senate Finance and House Ways & Means committees released a framework for a permanent fix to the SGR on October 31, calling for comments from stakeholders on the proposed path forward. Enacted in 1997 to control the rate of Medicare reimbursement for physician services, the SGR system largely failed, and has resulted in an annual ritual known as the “doc fix.” The yearly manual reconfiguring by Congress leads to much uncertainty in reimbursement rates across the board. As Congress continues to discuss changes to the SGR, you can join in too. Check out AHCA’s Advocacy Alert to see if one of your Members of Congress is on one of the key committees controlling this critical issue and get in touch today. Discussions are happening now, however, and there is precious little time left on legislative calendar, so do not hesitate to reach out. Yesterday, AARP’s Public Policy Institute released a new report on observation stays entitled “RapidGrowth in Medicare Hospital Observation Services: What’s Going On?”. It includes new data and policy recommendations including counting the time spent in observation toward the three-day inpatient hospital stay requirement for Medicare coverage of skilled nursing facility care, as the Improving Access to Medicare Coverage Act (H.R. 1179/S. 569) would do. AARP’s press release on the report can be found here, while the summary of the report is available here. AHCA/NCAL continues its support and advocacy for H.R. 1179/S. 569, introduced by Reps. Joe Courtney (D-CT) and Tom Latham (R-IA), along with Sen. Sherrod Brown (D-OH). 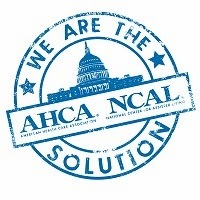 AHCA/NCAL also continues its work as part of the Observation Stays Coalition, which currently consists of 18 organizations advocating for this important legislation. The updated Coalition fact sheet, which lists all of the Coalition members, can be found here. For more information about observation stays, please visit the AHCA/NCALwebsite. What's New at the 2014 AHCA/NCAL Quality Symposium? The 2014 AHCA/NCAL Quality Symposium is scheduled for February 10-12 in New Orleans. Registration is now open, and we hope you will attend. Three clinically-focused sessions designed specifically for nursing attendees have been added. These sessions will discuss the care practices and services that are targeted areas for quality improvement. In addition, new sessions have also been added for assisted living providers. And, on Tuesday, February 11, a celebration luncheon will be held recognizing those centers around the country that have accomplished multiple Quality Initiative goals. The symposium will kick off with five, four-hour intensives (included with registration). These intensive sessions offer attendees the opportunity to dive into critical issues facing long term and post-acute care providers. With more than 20 education sessions available, two general sessions, a poster gallery, and lots of opportunities for professional networking, you won’t want to miss this event! The registration deadline is January 10, 2014. Thank you to this year’s 2014 Quality Symposium sponsors: eHealth Data Solutions, Kronos, MatrixCare, Medline, My InnerView by National Research Corporation, Pinnacle, PointRight, Team TSI Corporation, and TENA. MedPAC acknowledges that prices between inpatient rehabilitation facilities (IRFs) and skilled nursing facilities (SNFs) vary, even though beneficiaries may have similar conditions in both settings. AHCA has been advocating for a site neutral payment system to equalize reimbursement between post-acute care settings and put the focus on patients’ needs, rather than where they receive care. At Thursday’s meeting, MedPAC seemed interested in pursuing this reform. Check out MedPAC’s presentation from the meeting. The discussion was a promising step for SNFs, and AHCA will continue to monitor further discussions and provide input when appropriate. As we’ve previously reported, AHCA is hosting a webinar on the critical phases of the Medicare-Medicaid Coordination Demonstration such as three-way contracts and open enrollment periods that are in place in select states. There’s still time to register for this important update live webinar event. Check out all you need to know below, and see the link for full details. Last May, the profession celebrated National Nursing Home Week with the theme of “Team Care: Everyone Pitches In.“ We want to highlight facility activities and events related to NNHW and especially activities or promotional products related to the theme of “Team Care.” We may also use your photos in promotions in anticipation of NNHW 2014. Please upload a few of your best shots to Facebook (NNHW) at www.facebook.com/nursinghomeweek, with a caption to describe the event(s).You should have permission to upload the photo to Facebook from subjects in the pictures and AHCA may need those permission forms in the future. Please submit your pictures to Facebook, or send digital photos to tburke@ahca.org, by Friday, November 22. Join other Independent Owners (IOs) to discuss the issues that matter to you. This year’s conference focuses on Thriving in a Changing World. Learn innovative strategies and ideas to help with the challenges of managing staff and patients. Explore different approaches for dealing with new laws and regulations. Discover the best practices in change management. Earn up to 10.5 CEUs with your choice of pertinent educational sessions. Enjoy numerous networking and social opportunities. You'll walk away feeling even more inspired to raise the quality of care you provide. Early registration saves $75 off the standard member rate. And, when you register and attend the NCAL Spring Conference that also takes place at Caesars Palace from March 10-12, you can save even more. Mark your Calendar for AHCA/NCAL’s Nutrition Webinar Series! AHCA/NCAL, along with Brenda Richardson, MA, RDN, LD, CD, a known leader in the field of dietetics and works with business development/relations for Dietary Consultants, Inc., will be presenting a series of nutrition related webinars for those in the long term care field. Join us for important updates and information impacting your centers and patients. Get your pressing questions answered. For further information about these webinars, please contact AHCA’s Lyn Bentley or Dana Halvorson. Medicare Part B therapy services enable patients to maintain their highest level of functional independence following an illness or injury, but unless Congress acts, beneficiaries are at risk of losing this key source of funding. As part of the 2012 therapy cap extension, Congress called for Centers for Medicare and Medicaid Services (CMS) to institute a new review for claims which crossed an arbitrary cost threshold. Protecting beneﬁciary access from care disruptions by strengthening the ten day MMR requirement. Improving the MMR process through simpliﬁcation, standardization, and automation of contractor and provider communications. Requiring a GAO analysis of the MMR process to identify opportunities to better design and tailor the Part B therapy beneﬁt, and to improve the MMR process to better target medical review of outliers. Finally, until an appropriate patient-centered alternative payment model for Part B therapy services is implemented, AHCA supports a Congressional extension of the current Part B therapy cap exceptions process, along with necessary safeguards to prevent against inappropriate therapy utilization. Time is short for any legislative action, so please contact your Member of Congress today. Remember, Alerts may only be set to those members of Congress serving on one of the three aforementioned relevant Committees. For more information, see our issue brief here, or contact Drew Thies at dthies@ahca.org or (202) 898-2816. 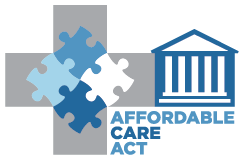 Please join AHCA/NCAL and Nicole Fallon of CliftonLarsonAllen for an Affordable Care Act(ACA) webinar this Thursday, November 14, at 2 p.m. Eastern Time that will include an update on several areas that are critical to the new health insurance marketplaces and what this will mean for providers as employers and from a business perspective. You will learn what steps you should be taking in order to comply with the ACA, and new ways of evaluating benefit offerings. In addition, AHCA/NCAL staff will briefly walk registrants through AHCA’s ACA Web page. If you have any questions regarding this webinar, please don’t hesitate to contact AHCA’s Erin Sutton or Dana Halvorson. Also, be sure to visit AHCA’s ACA Web page or email insurancecoverage@ahca.org for further information on the ACA. Registration for 2014 NCAL Spring Conference in Las Vegas is Now Open! Register today for the 2014 NCAL Spring Conference, taking place at Caesars Palace in Las Vegas Nevada! Featuring the theme, “The Future is Now,” this year’s Spring Conference will be an in-depth learning experience filled with dynamic curriculum and valuable networking opportunities. Held March 10-12, 2014, this is a must attend event that will help your organization reach its optimal potential. The US Department of Health and Human Services, Office of Inspector General (OIG) recently released a report, Medicare Recovery Audit Contractors and CMS’s Actions to Address Improper Payments, Referrals of Potential Fraud, and Performance, which focuses on identifying problems with CMS’ actions to address improper payment vulnerabilities and oversight of its Medicare contractors. According to the report, in FYs 2010-11, Medicare Recovery Auditors (RAs) identified half of all claims they reviewed as having resulted in improper payments, totaling $1.3 billion. CMS took corrective actions to address the majority of those vulnerabilities; but it did not evaluate the effectiveness of those actions. As a result, high amounts of improper payment may continue. CMS also did not take action to address the 6 referrals of potential fraud received from the RAs. Finally, CMS’ performance evaluations did not include metrics to evaluate the RA performance evaluations and did not include metrics to evaluate RA performance on all other contract requirements. OIG recommends that CMS: (1) take action on vulnerabilities that are pending corrective action and evaluate the effectiveness of implemented corrective actions; (2) ensure that RAs refer all appropriate cases of potential fraud; 3) review and take appropriate, timely action on RA referrals of potential fraud; and (4) develop additional performance evaluation metrics to improve RA performance and ensure that RAs are evaluated on all contract requirements. To obtain a complete copy of the OIG report, click here. 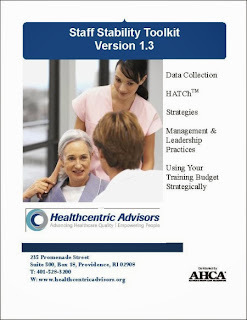 The US Government Accountability Office (GAO) recently released a report, Medicare Program Integrity: Increasing Consistency of Contractor Requirements May Improve Administrative Efficiency, which discusses the GAO’s findings and recommendations for increasing the consistency of requirements upon the various Centers for Medicare & Medicaid Services (CMS) Medicare fee-for-service contractors conducting post-payment review of claims. The report found that over time, Congress has provided for CMS to use contractors to carry out many different functions in connection with the Medicare fee-for-service (FFS) program, which has resulted in the use of several different types of contractors to conduct claims reviews. The multiple types of Medicare contractors performing post-payment reviews were established by different legislative actions; are managed by different offices within CMS; and have different characteristics and serve different primary functions in the program, all of which affect their use and conduct of post-payment claims reviews. Currently, CMS uses: (1) Medicare Administrative Contractors (MAC), the contractors that process and pay claims, also conduct pre- and post-payment claims reviews and recoup overpayments or remediate underpayments; (2) Zone Program Integrity Contractors (ZPIC), which perform pre- and post-payment claims reviews as a part of investigating potential fraud; (3) Comprehensive Error Rate Testing (CERT) contractors, which estimate the Medicare FFS improper payment rate, in part by conducting post-payment claims reviews on a random sample of claims processed by the MACs; and (4) Recovery Auditors (RA) (also commonly known as Recovery Audit Contractors or RACs), which conduct data analysis and post-payment claims reviews to identify improper payments. All four types of Medicare contractors performing post-payment reviews conduct complex reviews, in which the contractor examines medical records and other documentation sent by providers to determine if the claims meet Medicare coverage and payment requirements. GAO concluded that differences in CMS’s post-payment claims review requirements for the four types of contractors may reduce the efficiency and effectiveness of claims reviews by complicating providers’ compliance with the requirements. Differences in requirements may have come about because the contractors’ requirements were developed at different times, the contractors’ activities have changed over time, or because different types of contractors and their associated requirements are managed by different parts of CMS. In order to improve the efficiency and effectiveness of Medicare program integrity efforts and simplify compliance for providers, GAO recommends that: (1) the Administrator of CMS should examine all post-payment review requirements for contractors to determine those that could be made more consistent without negative effects on program integrity; (2) the Administrator of CMS should communicate publicly CMS's findings and its time frame for taking further action; and (3) the Administrator of CMS should reduce differences in post-payment review requirements where it can be done without impeding the efficiency of its efforts to reduce improper payments. To obtain a copy of the complete GAO report, click here. CMS has posted three files marked “(R)” for download as part of this errata release. Two of these files are revised and one is a new, additional file. All three files include an “(R)” at the end of the file name. Last Friday, November 1, Representative John Delaney (D-MD) visited Shady Grove Center and Kingshire Assisted Living in Rockville, Maryland. Congressman Delaney discussed issues facing the long term care sector with a group of residents, family members, and caregivers. Congressman Delaney later sat down for a roundtable discussion with providers and administrators to discuss specific long term care legislative issues facing both Maryland and the nation as a whole. During the discussion, the Congressman agreed to cosponsor H.R. 1179, the legislation that removes the observation status barrier to Medicare funding for skilled nursing following a three day hospital stay. Congressman Delaney is a freshman Democrat from a district which extends from the D.C. beltway into Western Maryland. Though his committee focus is in business and finance, the Congressman has experience in the medical world both as a one-time owner of a medical devices company, and as the former CEO of a business specializing in the financing of small health care firms. AHCA is excited to work with members like Rep. Delaney and other champions of long term care to forge solutions to our nation’s toughest health care problems. 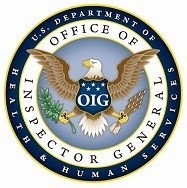 The US Government Accountability Office (GAO) has recently released a report, Health Care Fraud and Abuse Control Program: Indicators Provide Information on Program Accomplishments, but Assessing Program Effectiveness is Difficult, which examines how the US Department of Health and Human Services (HHS), Office of Inspector General (OIG) and the Department of Justice (DOJ) use funds to achieve the goals of the Health Care Fraud and Abuse Control (HCFAC) program. In FY 2012, OIG and DOJ obligated approximately $583.6 million to fund HCFAC program activities. OIG and DOJ use several indicators to assess HCFAC activities, as well as to inform decision-makers about how to allocate resources and prioritize those activities. However, the indicators do not provide information about the effectiveness of the program, and little is known about whether and how well the HCFAC program reduces health care fraud. While positive results on the program’s return-on-investment can be seen as an indication of program success, the return-on investment does not indicate the extent to which the program is reducing fraud. For example, the increasing returns from the fraud that is being investigated and prosecuted may indicate that HCFAC programming is effective in detecting or deterring potentially fraudulent schemes or indicate that there is simply an increase in potentially fraudulent activity. Additionally, even with a baseline estimate of the total amount of probable fraud, there will likely be continuing challenges in understanding the effectiveness of the HCFAC program, such as isolating the program’s ability to reduce or prevent fraud and abuse. Despite these inherent challenges, if a health care fraud baseline is established more broadly, it may become feasible to study how individual HCGAC activities, and possibly the program as a whole, affects changes in health care fraud. 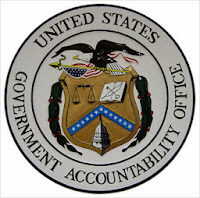 To obtain a copy of the complete GAO report, click here. AHRQ’s Nursing Home Survey on Patient Safety Culture is a tool for nursing homes to use to assess provider and staff opinions about the culture of patient safety in their facilities. Nursing homes that have administered the AHRQ survey can register and submit their data to the Nursing Home Survey on Patient Safety Culture Comparative Database between April 1 and April 21, 2014. The database is a central repository for survey data from nursing homes that have administered the AHRQ survey. One of the purposes of the database is to produce comparative results to help nursing homes identify strengths and opportunities for improvement in their patient safety culture. For more information on the benefits of participation and database products, participation requirements, and registration/data submission timeline and activities, click here . To view the 2011 User Comparative Database Report, click here. The report does not include any information identifying participating nursing homes. One of the four major goals of AHCA's Quality Initiative is to reduce nursing staff (RN, LPN/LVN, CNA) turnover by 15% before March 2015. The Staff Stability Toolkit is an excellent resource to help your facility achieve this goal. The Staff Stability Toolkit, Version 1.3, from Healthcentric Advisors, is a “how-to” guide to stabilize staffing with practical tools for both immediate and long-term use. It combines concepts, practices, exercises, and tools to assist you in the systematic process of determining the root cause of a problem and identifying potential interventions. The material is straightforward and easy to digest with graphics and icons that highlight key elements, financial strategies, and examples/best practices. This resource also includes a CD-ROM with printable worksheets to help collect and analyze critical staff stability data. Orders may be placed at www.ahcapublications.org or by phone 800-321-0343.